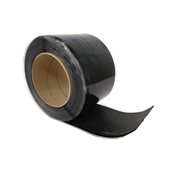 Designed for splicing cured-to-cured EPDM membranes and non-QA flashings, this high-strength, solvent-based contact cement allows quick bonding of flashing, sheeting, and cured rubber seams. Formulated for application with a ½” medium nap roller and/or a ½”-thick paint brush, the versatile tack time allows large areas to be coated and adhered at one time. One Gallon covers 100 square feet.